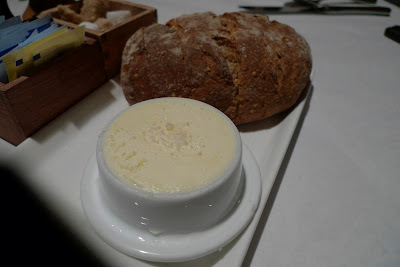 I went to the Gage awhile back for Chef's Week. A couple friends and I went there for lunch. 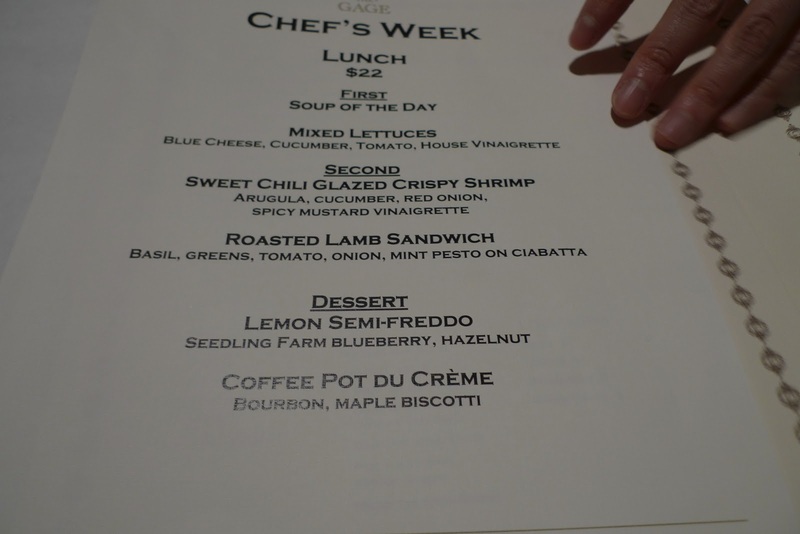 They didn't have their Chef's Week menu up so we didn't really know what to expect. Here was what our choices were. While we were looking over the menu, our waiter brought us a loaf of bread and butter with some fleur de sel. 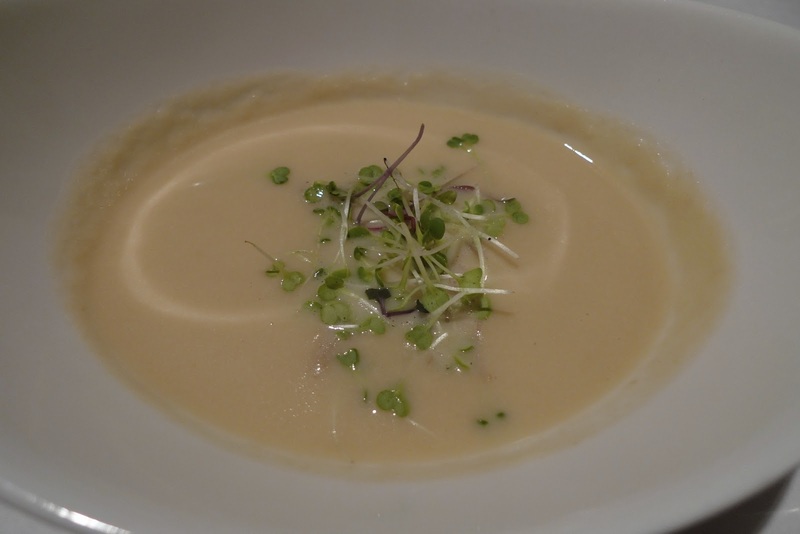 For the first course, we had the option of a rutabaga soup with braised pork shoulder or a green salad. I went with the soup, which was delicious. I wasn't as thrilled with their entree options. Between a crispy shrimp dish and a lamb sandwich, I went with the lamb. I'm not the biggest fan of lamb, but it seemed slightly healthier of the two options so I went with that. I'm sure if I liked lamb, this would have been awesome. This was a pretty big sandwich so halfway through, I ended up eating the inside of the sandwich with a fork. My friends, who were also not that intrigued by the chefs week options, ordered off their regular menu. 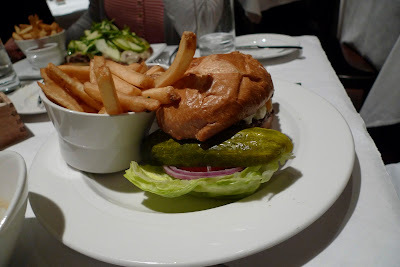 A friend got the gage burger and another friend got the house roasted brisket sandwich. All of our dishes came with a side of fries, which were perfectly crisp. I polished those off. 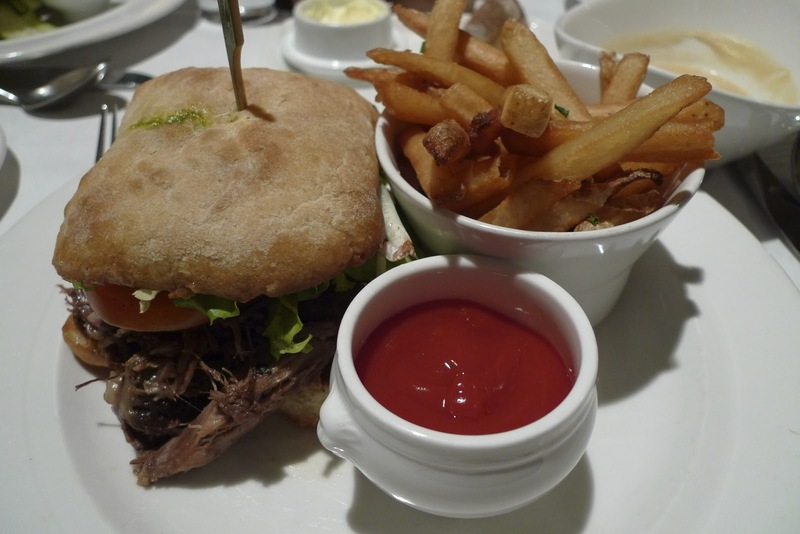 Eve though I didn't love the lamb sandwich, I loved their soup and their dessert option. I chose the coffee pot de creme. 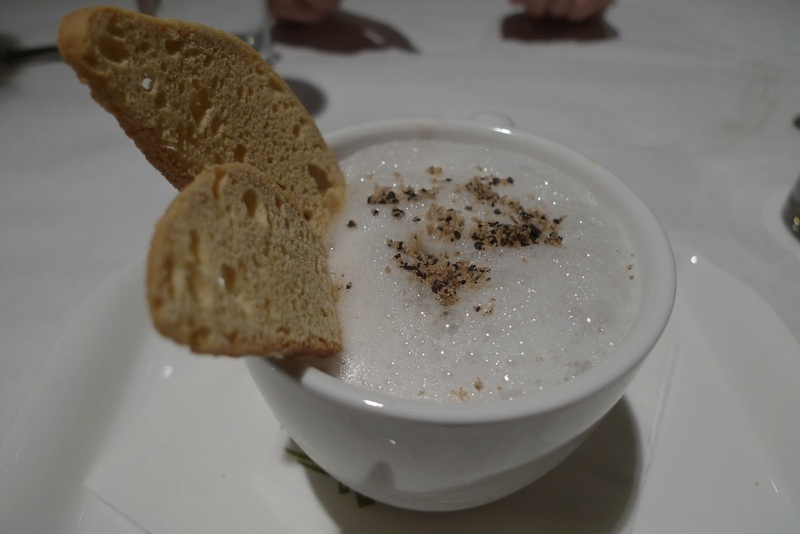 It was served in a coffee cup and looked like a cappuccino, complete with foam and a biscotti. We all devoured this dessert. This place is packed on Friday nights, I know this because Susan and I tried stopping by once and it was impossible to get a table. I'm glad I finally got to check it out and I would love to come back and try some of their other items. It's right along Michigan Ave and across the street from Millennium Park so it's the perfect place to stop by for a snack or drinks.